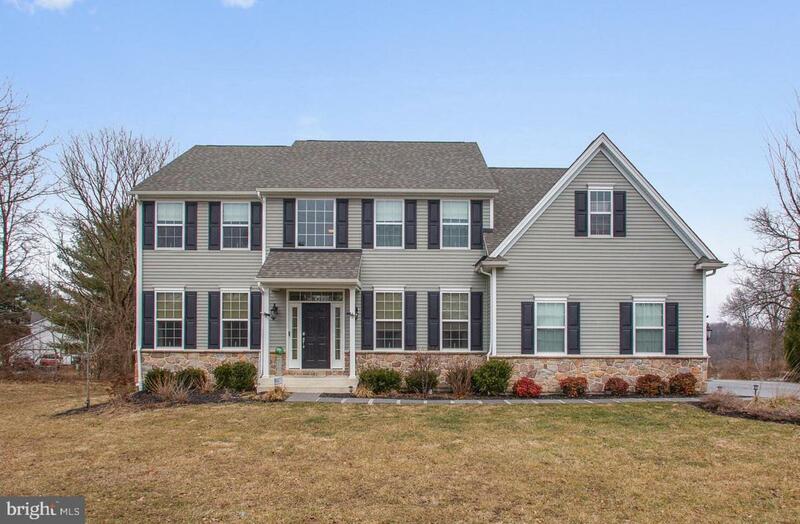 Spring into action and look at this 4 bed 2.5 bath recently built colonial on a 2+ acre lot with a modern, open floor plan, Unionville schools, and no HOA. The pictures tell an accurate story of this property. It has curb appeal, big open rooms with plenty of natural light, a great location on a lightly traveled road, and everything is 4 years old and move in ready. 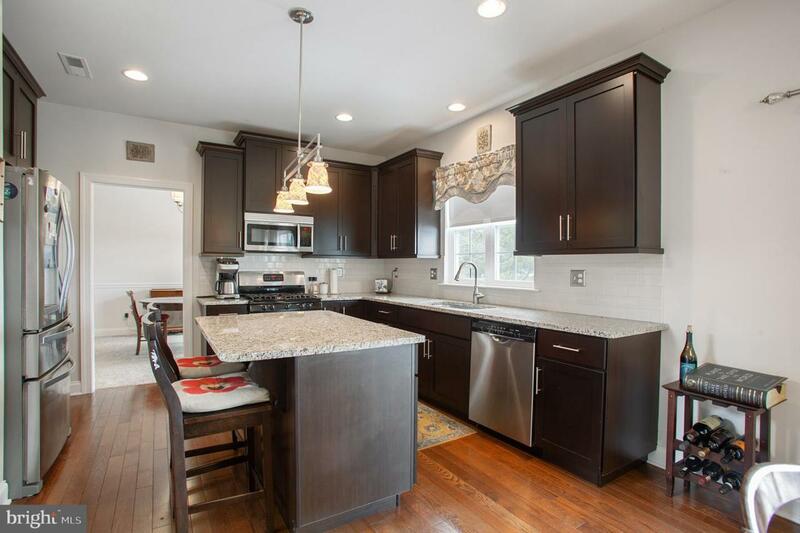 Walk into the open foyer with high ceilings and head straight back to the kitchen and beyond. 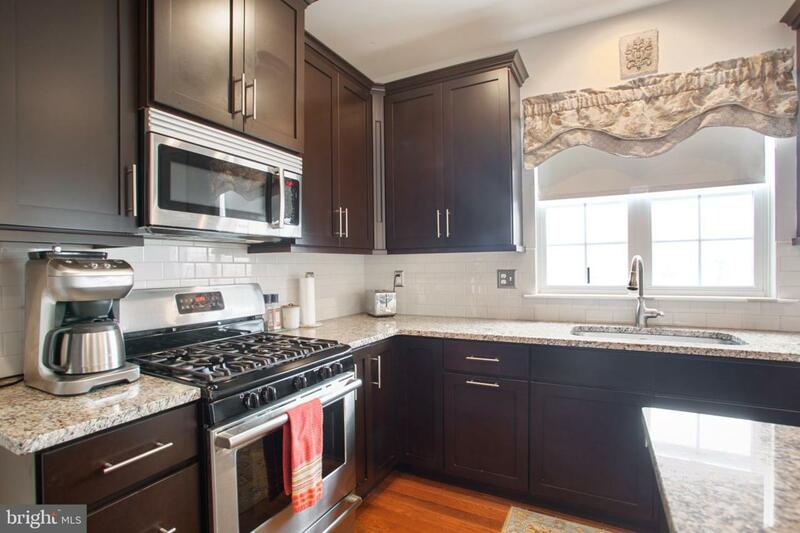 The kitchen has hardwood floors, sleek cabinetry, granite counters and island with upgraded appliances including a gas range. Adjacent to the kitchen is an open eating area with slider to the back deck, and a great room with a soaring cathedral ceiling and gas fireplace. Off the kitchen there's more formal dining and living rooms with crown molding and neutral wall to wall, and lots of natural light. Off the foyer is a first floor office with french doors and a hall half bath. There is a 2 car garage with inside access to a mudroom/laundry which completes the main level. Upstairs is a master retreat with tray ceiling, walk in closet and master bath complete with a deep soaking tub and separate shower. There are 3 additional bedrooms with a hall bath on the second floor. With nearly 3,000 square feet of living space, the house has plenty of room but also has room to grow. The full basement is clean and dry and presently used for storage. However, it has high ceilings and legal egress so it can be finished into additional living space. There are lots of features outside the home as well. 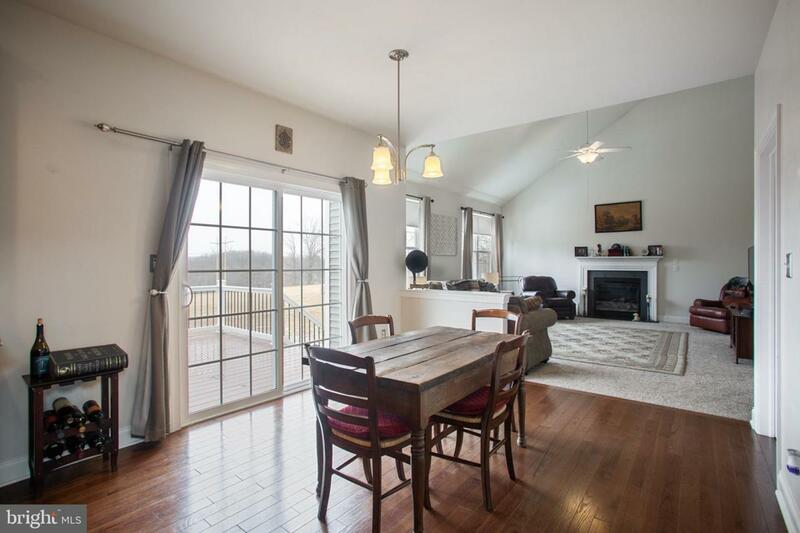 A level front yard and a beautiful back deck that looks over the huge back yard that backs up to open space with views overlooking the Brandywine river valley and beyond providing 4 seasons of enjoyment. Sellers are flexible on date of possession, so if you are in a hurry to move or need a little extra time, this could be the one. So come see this home today and make it yours. Green Remarks Underground Water Retainment System Ask Agent For Details.